While New Britain’s days of being known as the Hardware Capital of the World are in the past, 2017 has shown that its industrial roots won’t be forgotten. Nestled in an industrial park on John Downey Drive is the Alvarium Beer Company - a brewery that pays homage to the city’s motto, “Industry fills the hive and enjoys the honey,” from its name to its décor and its brews. 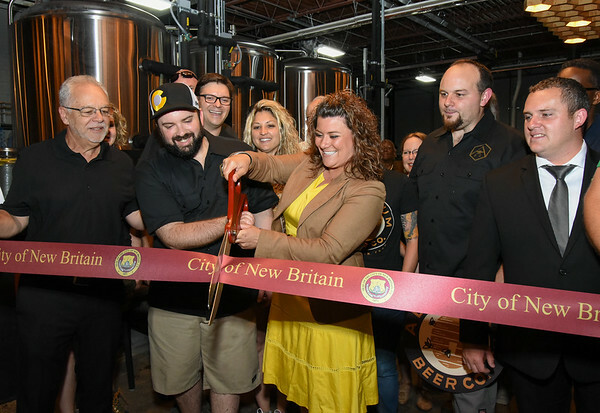 Alvarium, which is Latin for “beehive,” opened this summer as the city’s first brewery since the closing of the Cremo Brewing Co. in the 1950s. 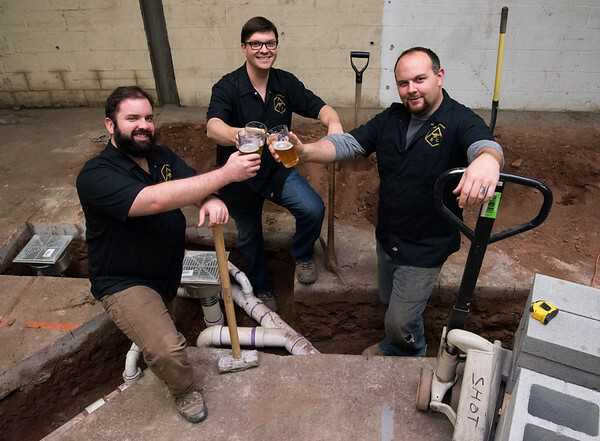 Before opening Alvarium’s doors, the three men behind the brewery - Mike Larson, Chris DeGasero and Brian Bugnacki - received overwhelming support from the community. In March, they began a Kickstarter campaign with a goal of $15,000. Within nine hours, they met their goal. A few weeks later, more than $35, 300 had been raised. Since opening, Alvarium has become a popular spot for residents and given back to the city by hosting fundraisers and other events including yoga classes and themed holiday parties. It even relaunched the iconic Cremo beer in October. Alvarium also supports other local businesses, serving local kielbasa from Brian Bugnacki’s father, Dennis, owner of Bugnacki’s Specialty Meats, and soft drinks from Avery’s Soda of New Britain. Alvarium was one of two local businesses honored by the Connecticut Economic Resource Center during its Celebrate CT event in Hartford for their impact and influence on Central Connecticut. The other business honored was Jasko Development LLC. Spearheaded by Avner Krohn, Jasko has taken on many projects to revitalize New Britain. 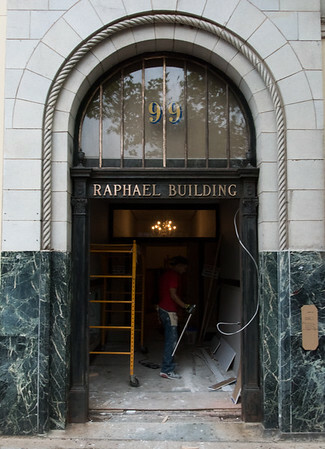 Most recently, Jasko completed the renovation of the Raphael Building at 99 W. Main St., a mixed-use retail and residential building with 16 luxury apartments. Krohn made sure to retain some of the historical elements that were part of the original building’s façade, built in 1925, but added a modern touch. Jasko also owns properties at 450 S. Main St. (Jasko Shopping Plaza), 136 Main St. (the Andrews Building), 160 Main St. (the Rao Building) and the not-yet-completed 165 E. Main St. (the T-Mobile Building). “If (Krohn) was not part of downtown, where would we be?” Bill Carroll, the city’s business and economic development director, asked. Another highly anticipated development made headlines this year. 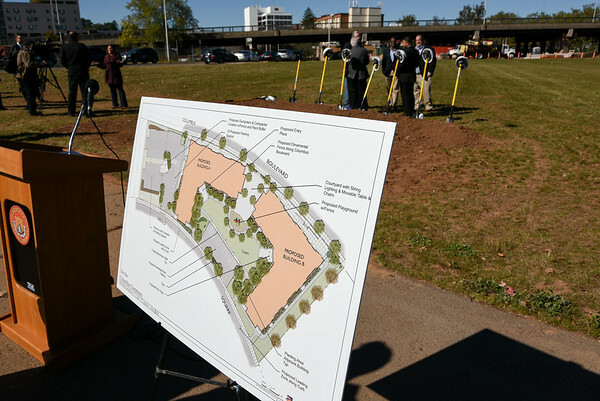 After years of planning, Columbus Commons - a new transit-oriented development project on the site of the former police station - finally broke ground in October. New York-based Xenolith Partners and Dakota Partners’ $58 million development will consist of two L-shaped, six-story buildings containing 160 residential mixed-income units and ground-level retail space. The project, to be completed in two phases, is expected to bring new life to the downtown area, with more shops, restaurants and other services. Mayor Erin Stewart said the project will help attract more millennials and working professionals to the area for those reasons and especially because of its proximity to the CTfastrak bus line. Full construction and leasing could be completed in the next five years. Posted in New Britain Herald, Business, New Britain on Tuesday, 26 December 2017 22:45. Updated: Tuesday, 26 December 2017 22:47.